All of you who know me, know that I love to share my favorites! 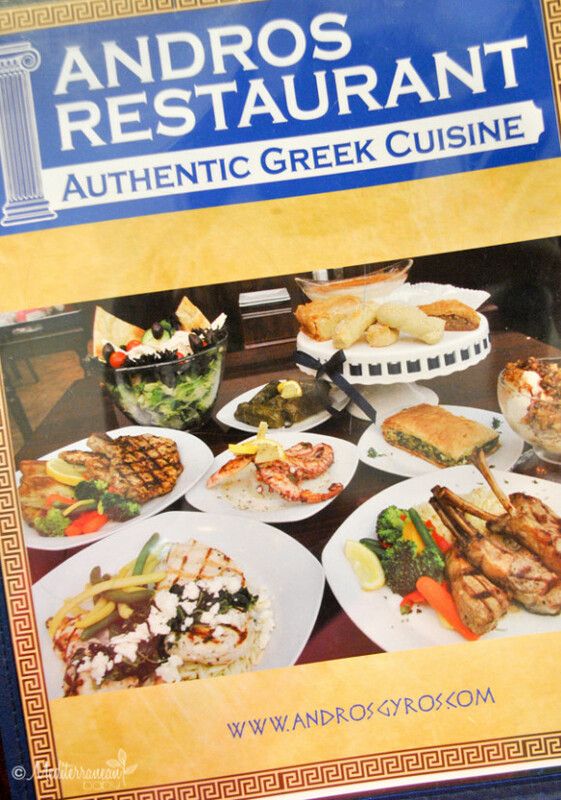 In this case, I am thrilled to share my pick for best Greek restaurant in the Western PA region. In my humble opinion, it’s Andros in North Huntington. Located on Rt. 30, just minutues from the PA turnpike, it features classic Greek recipes and innovative, fresh takes on Mediterranean fare. In full disclosure, I must tell you that the restaurant is owned by Koumbari of ours, but in the Greek world, everyone is related!! Still, the food speaks for itself! Frank and I took the kids and sampled everything from sauteed calamari to gyros to Mediterranean pasta with shrimp to lamb burgers to pasticcio to grape leaves, etc. The list goes on and on and the pictures speak for themselves, but I am getting hungry just thinking about the menu! It’s BYOB so be sure to take a bottle of wine with you if you’re planning to enjoy an adult beverage. And make sure you leave room for dessert; they are all made fresh daily. The walls are adorned with breathtaking pictures of Greece, many of them featuring images of our other Koumbari’s (Paulena and Yianni) wedding in Zakynthos, Greece. 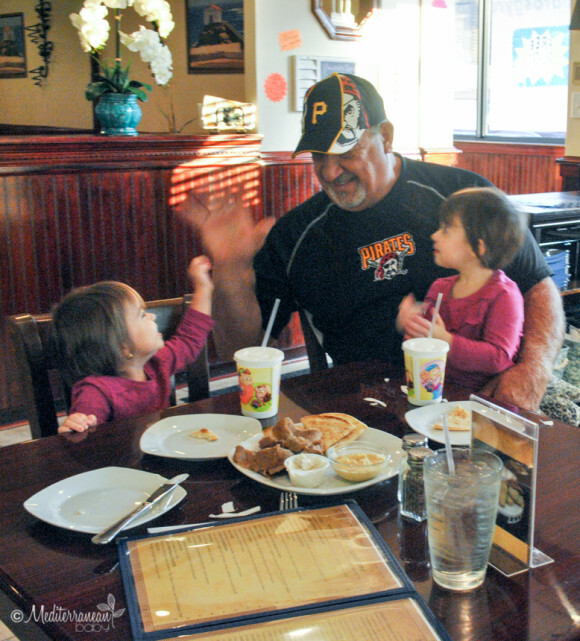 We visited Andros earlier in the evening, so it was the perfect time for a family meal with the kids. 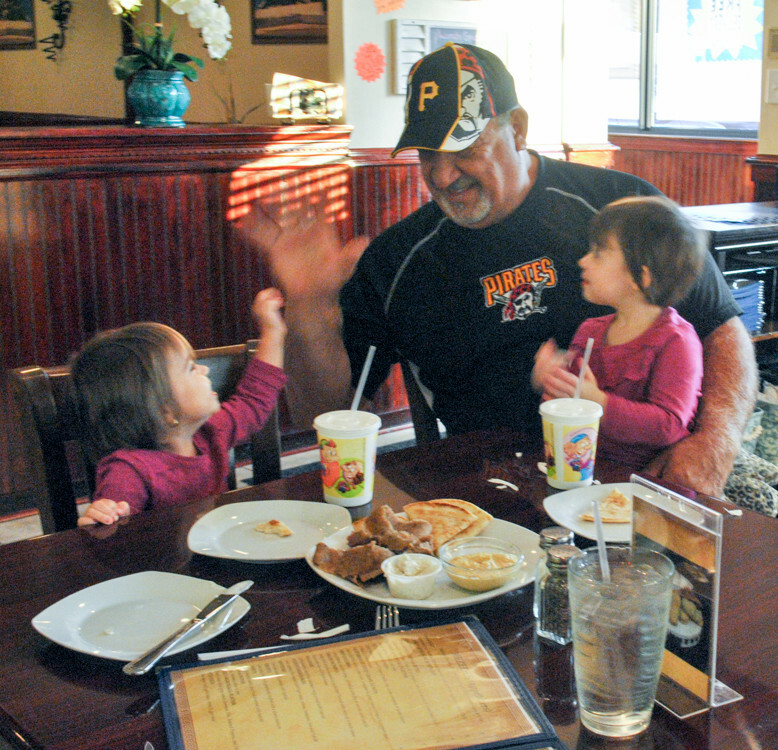 One of the owners, Jerry Batis, is pictured below entertaining and laughing with our girls. 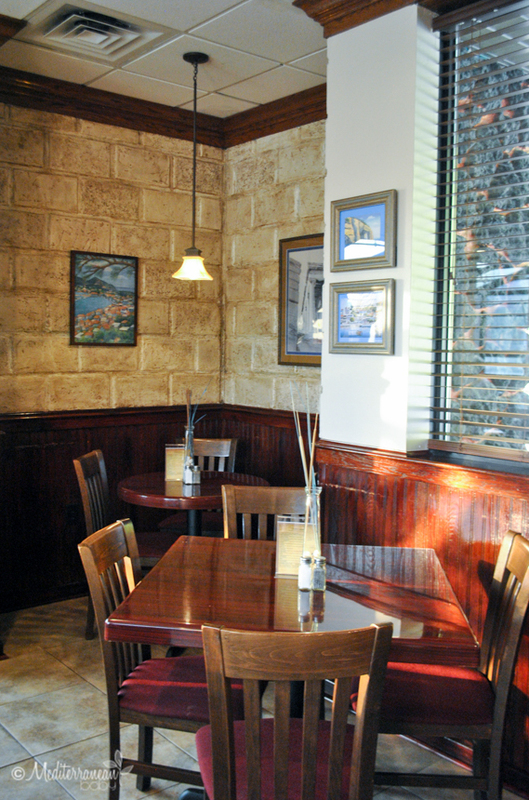 At Andros, you’ll enjoy a lovely, well-appointed, family environment. The food is fresh and each dish is more delicious than the next!!! I hope you enjoy it as much as we did. 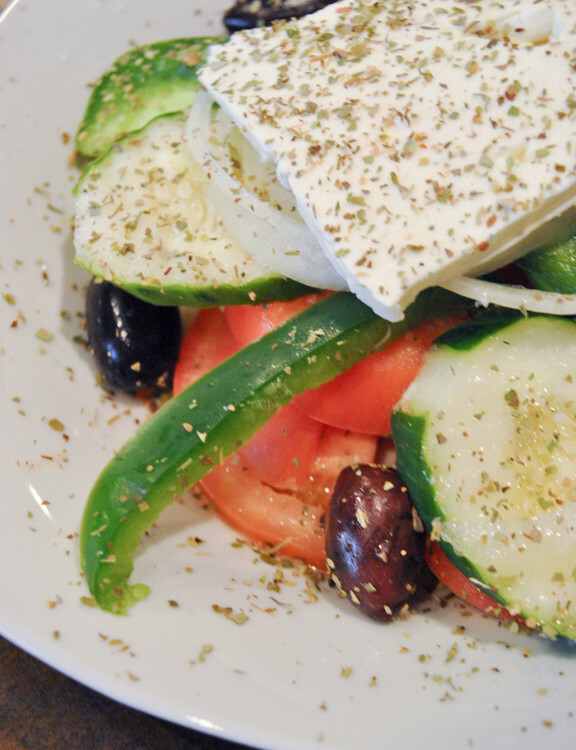 Allow yourself to be transported to an island in Greece and as the Greeks would say…OPA!!! 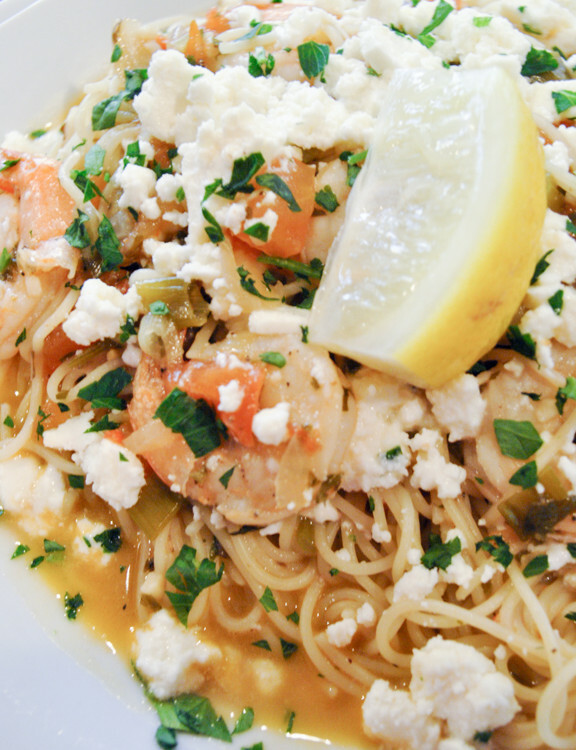 Tell me your favorite Greek dish in the comments below and be entered to win a $35.00 gift card to Andros!!! ENTRY DEADLINE: Thursday November 13, 2014 at 11:59pm EST. Winner: The winner will be chosen at random, based on the number associated with their post, using Random.org and announced at the top of this post. The winner will also be notified via email and must respond within 48 hours. If the winner does not respond within 48 hours, another winner will be selected. Disclaimer: This giveaway is sponsored by Mediterranean Baby. UPDATE: Congrats to Mary Jo!!! The winner of our Andros Gift Card Giveaway. Be sure to reply to the email you have been sent to claim your Gift Card. My favorite dish is the spanakopita. 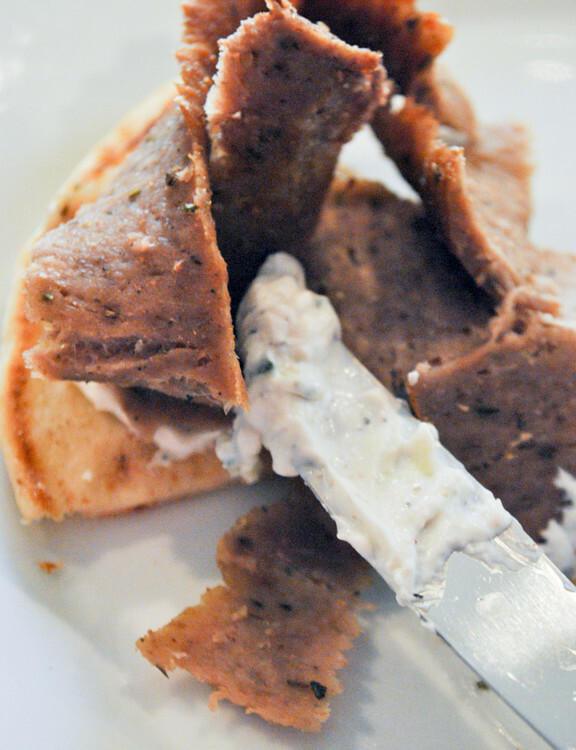 Gyros are my favorite, but anything with the INCREDIBLE feta cheese on it is amaze balls. And the tzatziki is best best I have ever had!!! I love thier Zues burger and pistitsio. pita pizza and baklava sundae all the way!!! I love all Greek food esp. a good gyro. Everything is delicious and exactly what I expect from Andros. 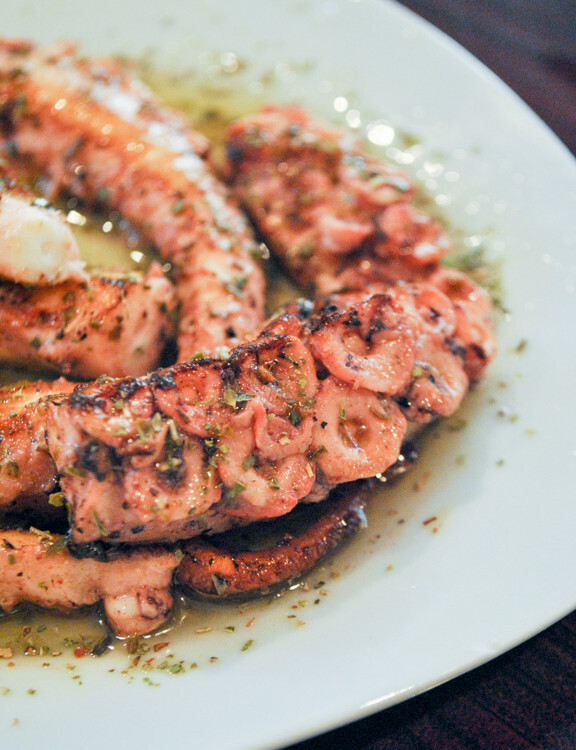 The classic Gyro and the chicken Gyros are delicious but our favorite is the Calamari. It never misses. And the Pastitsio…MMMMmmm….what was the question? O the Calamari. Amazing. Yummiest grape leaves I have had anywhere! 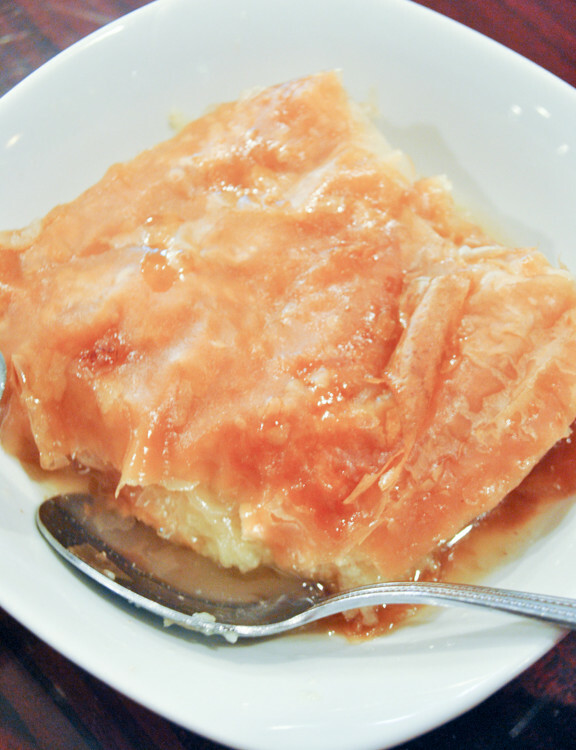 I have tasted a few different Greek dishes but my favs are still delicious gyros AND BAKLAVA!!! Have to say I am a dessert girl! Love live love the baklava sundae!!!!!!! Oh my gosh,what can I say other than they have the BEST gyro around. We travel about an hour one way at least twice a month to get the gyros. The desserts are good too. But the gyros are AMAZING!! Gyros, gyros, gyros!! Can’t be beat! The desserts are also just amazing. 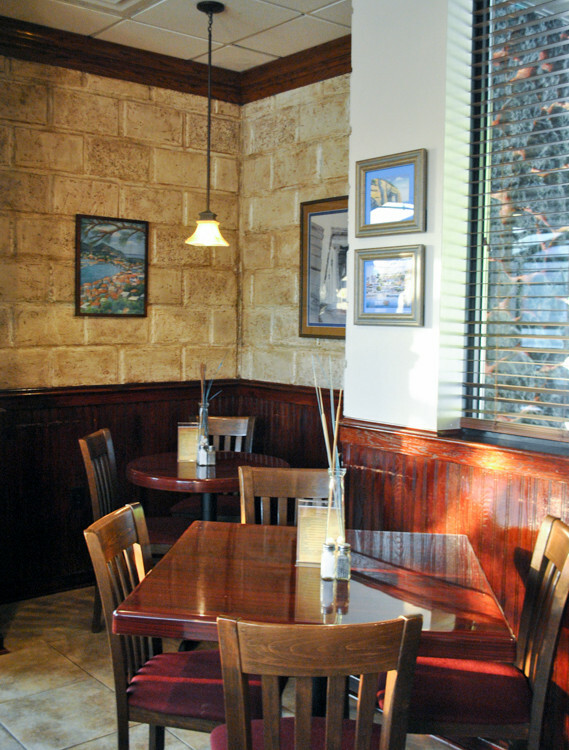 The key advantage at Andros’s is that foods are freshly prepared. The grape leaves are nice sized and very flavorful. The Chicken Athena is delicious as well as the gyros (both lamb and Chicken). I have had the pork souvlaki and it was great. My daughter and I visited the restaurant a few weeks ago and loved it! Everything we had was delicious ~ The chicken dish with artichokes, the gyro platter and the homemade ladylocks. We will be making another visit soon! I’ve never had a better gyro than at Andros. No one does them better! We always ask for Athena for our waitress. She is awesome, funny and always the perfect waitress. 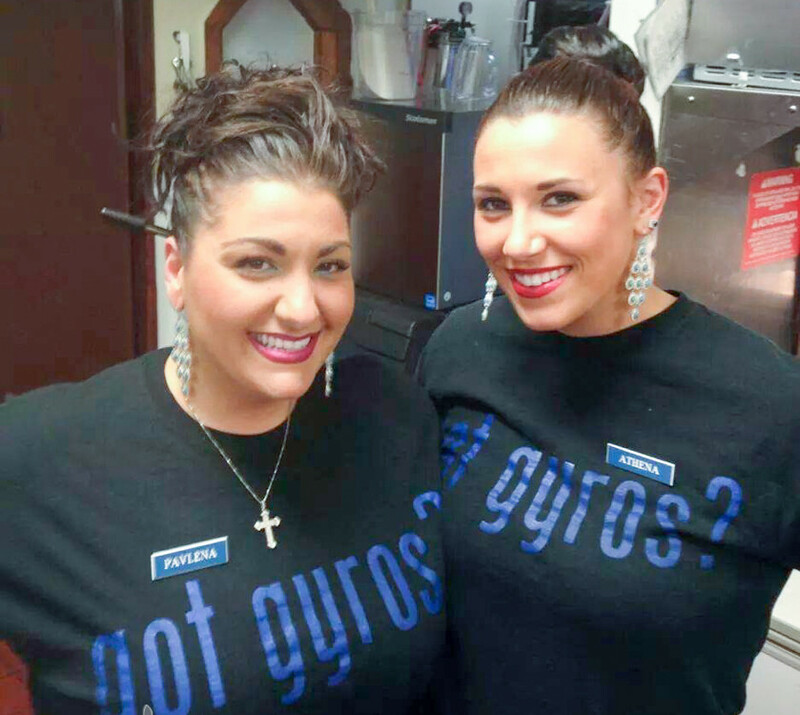 We love the Gyro’s, they are the best we have ever had. Love the Baklava sundae for dessert. When in doubt what to order ask Athena everything she recommend is awesome! The chicken special that is now a regular menu item is by far the best chicken dinner you could order…..try it! Ask Athena she will tell you the name….. The grape leaves are the best! 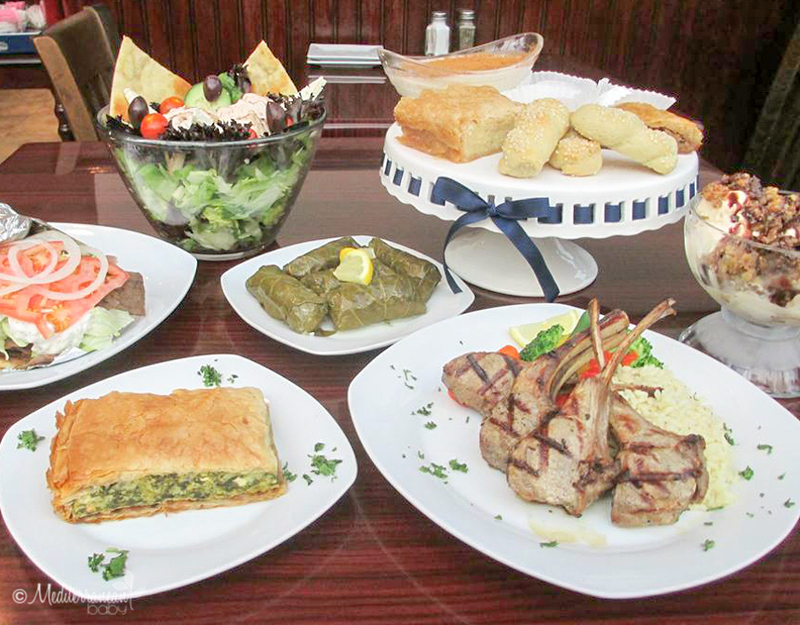 I go for lunch often, getting anything from gyro to salad to moussaka— The best Greek restaurant, in my opinion. I RECENTLY ATE AT ANDROS AND HAD A DELICIOUS CHICKEN DISH . MY FAVORITE WAS THE BAKLAVA SUNDAE! I CANT WAIT TO VISIT AGAIN AND TRY THE GYRO . OUR SERVER ATHENA WAS THE BEST! 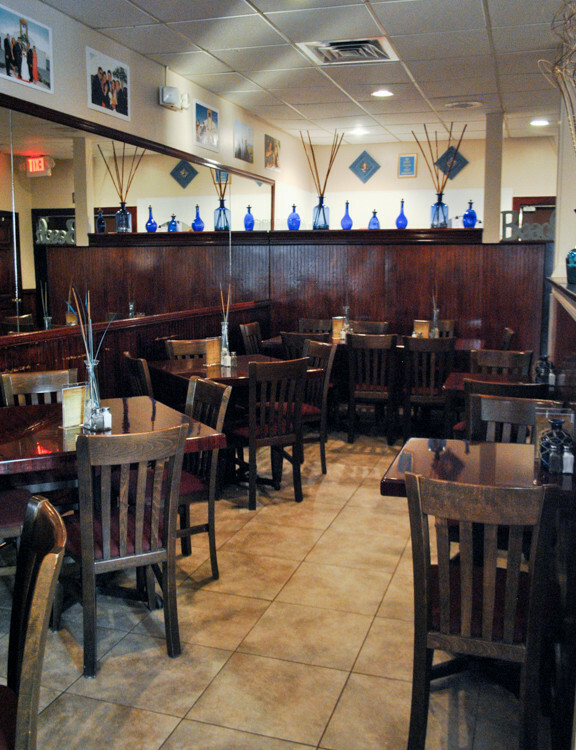 THE FOOD, STAFF AND ATMOSPHERE AT ANDROS IS SECOND TO NONE! 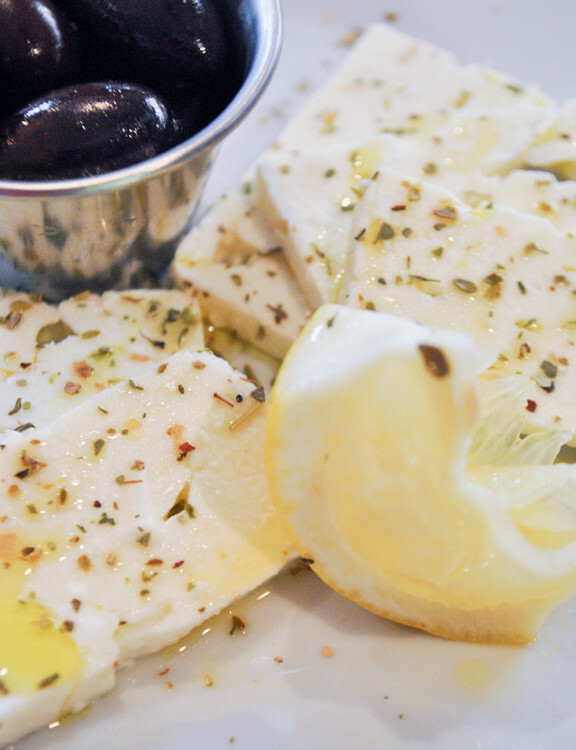 Joe and I fell in love with Greek salads with the big chunk of feta when we were in Greece. I also can’t resist Baklava. Went here with my fiancé for lunch one day, wasnt too sure of the menu and didn’t know what to try! An awesome cook there suggested I try the gyro’s(him knowing my taste for food). He was right the gyro’s were amazing and I would go back any day!!! Another plus is their very friendly service!!!!! 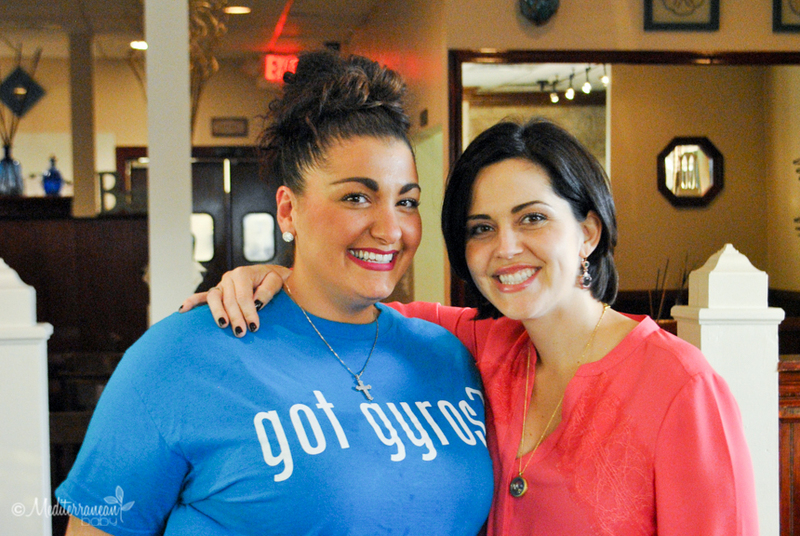 I love the gyro platter….and Baklava!!!! Wonderful Moussaka… can’t be beat. Considering the cook! Nicole’s grape leaves meat meatballs!!! 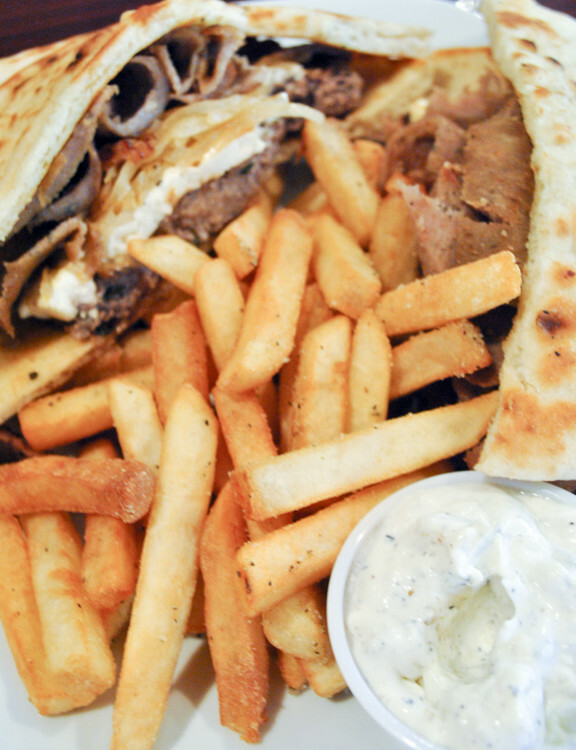 Without a doubt, a good Greek gyro will make my day (and my husband’s, too). 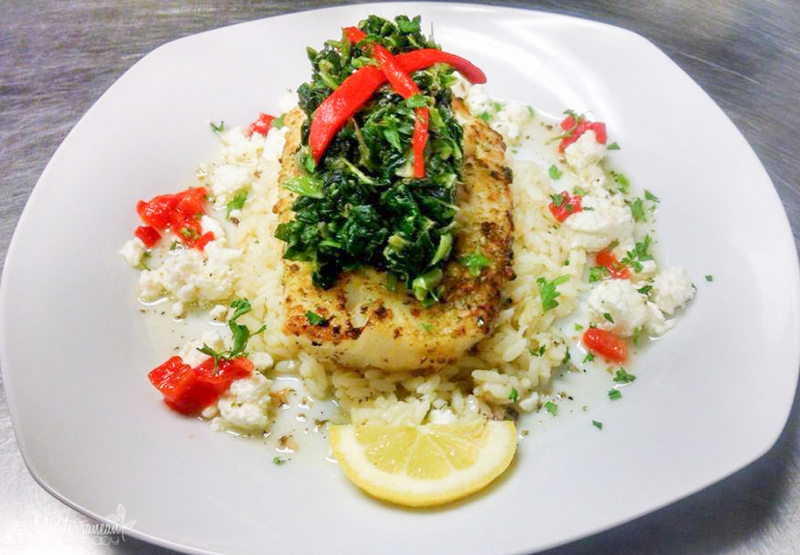 Andros serves ‘em up extra tasty and theirs will keep you coming back! And make sure to save room for their baklava sundae–best dessert I’ve had in a long time! Baklava, without a doubt! Johnny and I went to Andros for gyros the other day and I convinced him to get dessert. We each ordered baklava and it was delicious!!! The only thing better than the baklava at Andros is the service. Athena was our server and she made us feel like old friends the moment we were seated. Where to start? Lamb is wonderful as is their chicken. 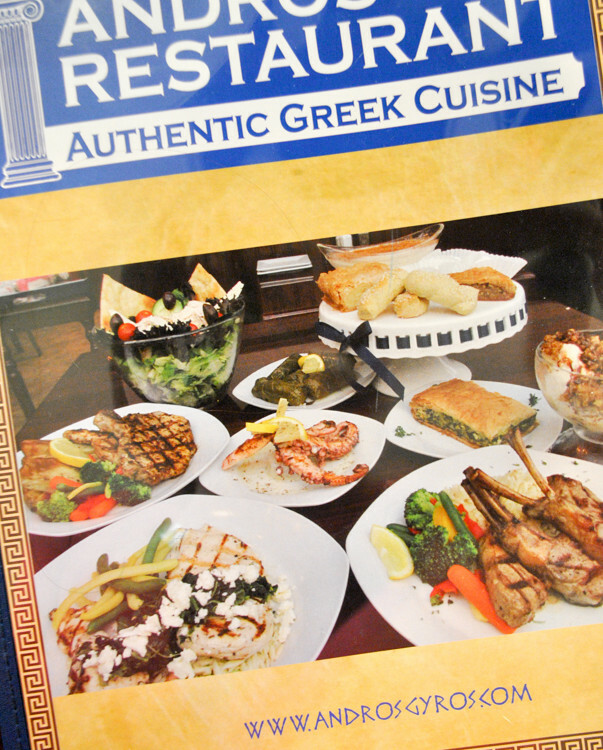 Last time I got the sampler platter which contained three Greek specialties. Make sure to save room for dessert. My favorite Greek food is stuffed grape leaves. I also absolutely love the Andros Baklava Sundae. The first bite makes your taste buds dance. My favorite Greek dish is hummus!